UPDATE Feb. 2013: Victoria 4 and Michael 4 are no longer FREE but DazStudio 4.5 is FREE. 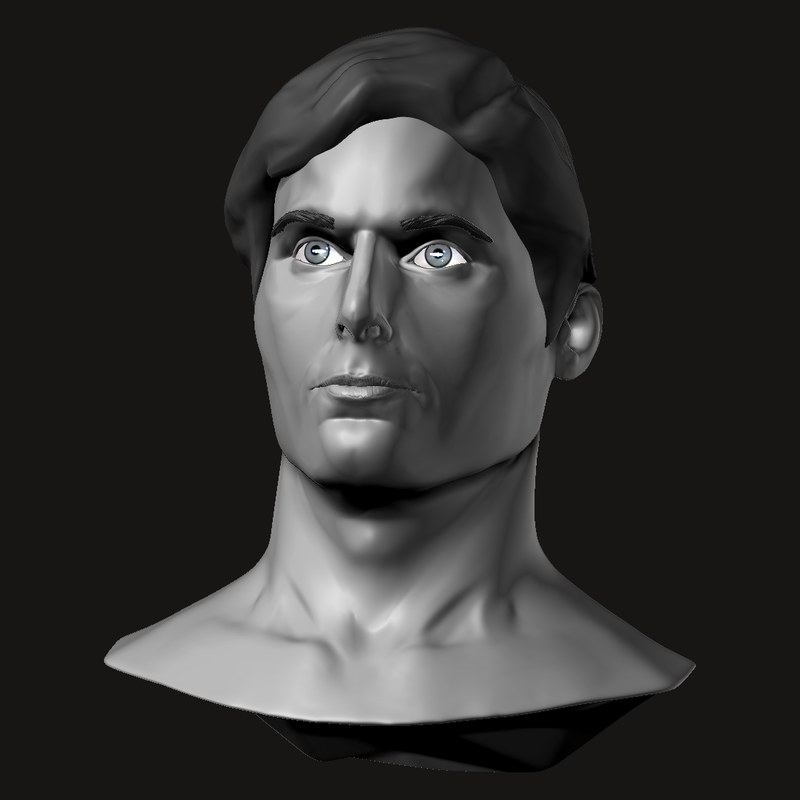 ZBrush 4 from Pixologic http://www.pixologic.com. 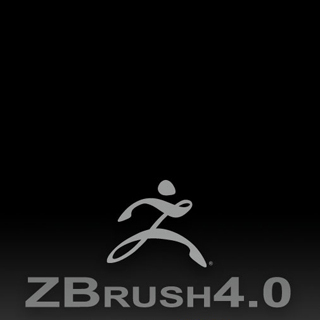 ZBrush’s sculpting tools are confusingly called “3D brushes”. If no model is present the currently active 3D brush is grayed out. When a model is on the canvas, 3D brushes can be accessed in Edit mode either by pressing the currently active brush button or by typing the letter ‘B’. 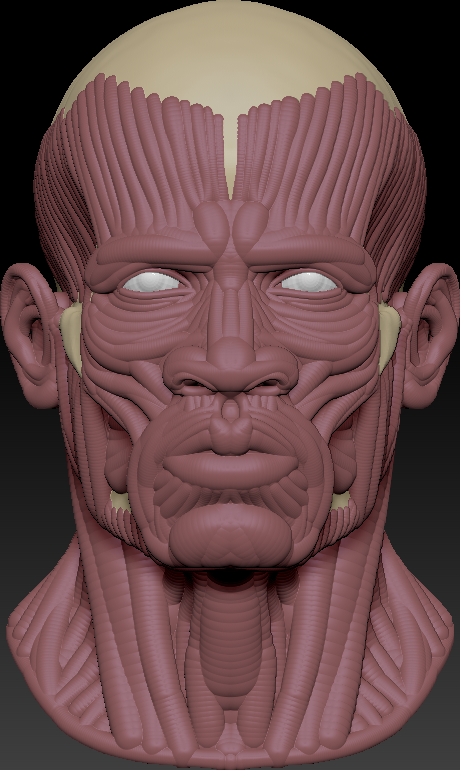 None of the brushes will add or remove topology. They will only expand or contract parts of the mesh thus making them perfect for morph creation. Each of the models pictured above were made from Victoria 4 using a combination of the Standard brush, the Move brush, the Clay brush, the Planar Flatten Brush, the Smooth brush, the Transpose Brush and their variants. 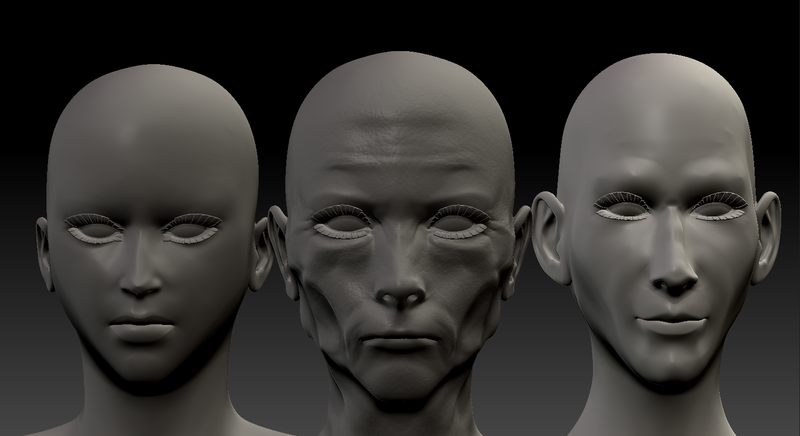 Let us now focus on aging the Daz models using ZBrush. 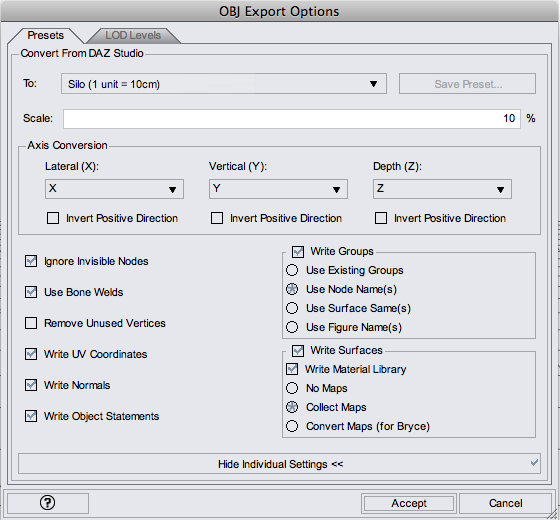 I have gotten my best results by exporting an OBJ file from DazStudio. 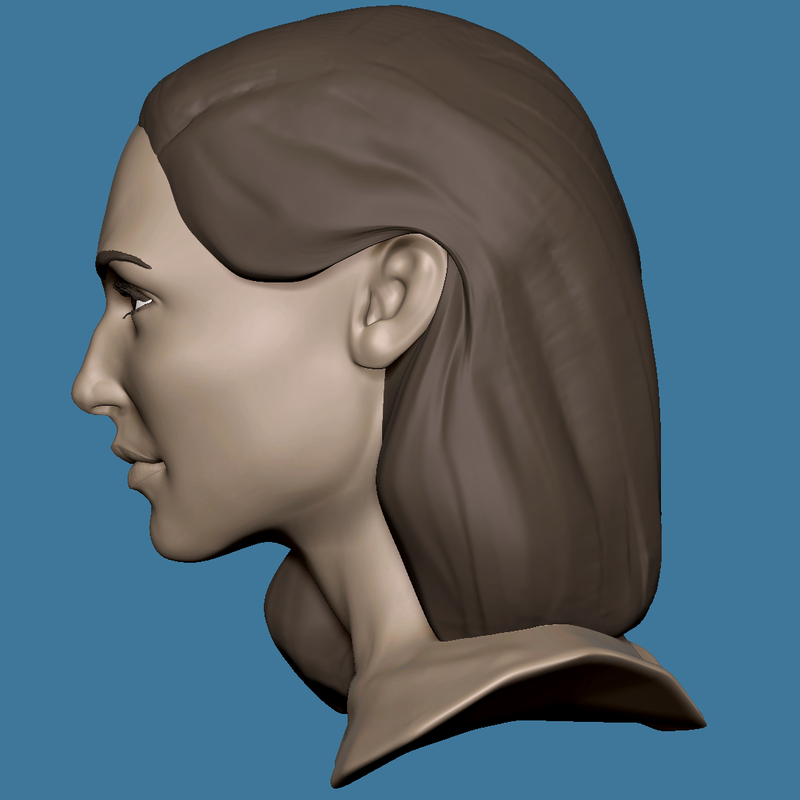 Unlike Poser, DazStudio allows it’s users to export models at different sizes for the different 3D modeling programs. I always select the Silo setting (1 unit = 10 cm) and turn on bone welds so that I get a large model for detailing. The UV settings don’t matter for export to ZBrush since you will need to recreate those later if you plan on texturing your model. The rest of the settings can be left at their defaults. As I mentioned in part 1 of this series, always set the Z-intensity to a low level and gradually increase it to develop subtle changes in your digital sculpture. 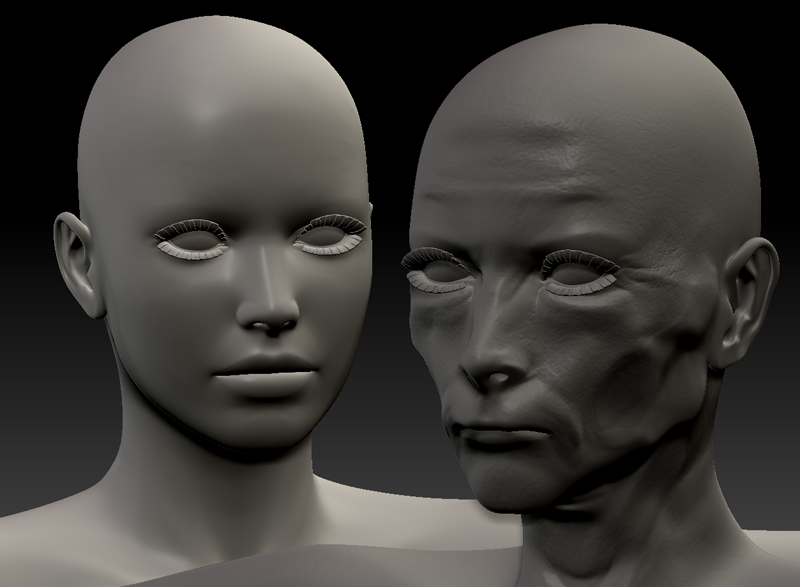 Starting with the Standard brush, follow the main muscle groups of the face. 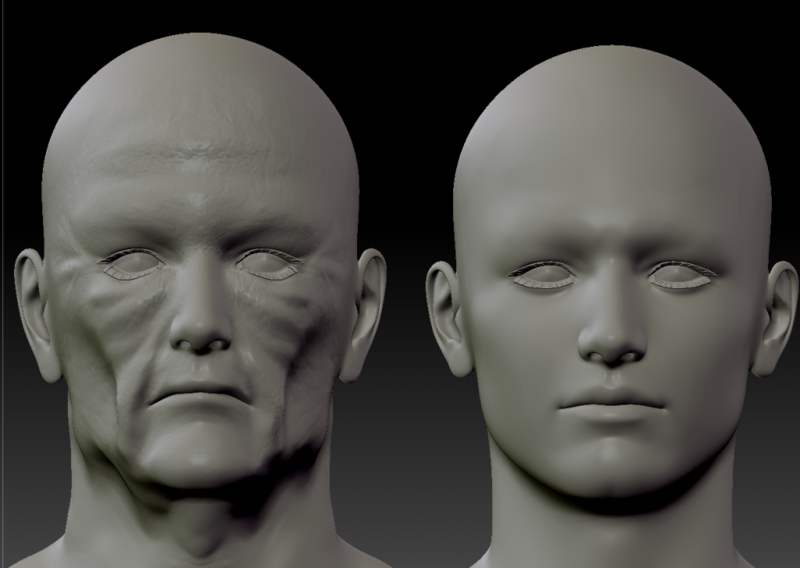 Wrinkles tend to follow muscle groupings as pictured in the écorché (flayed) face to the left. The orbicular muscles of the mouth and eyes tend to have rounded wrinkles that follow those contours. Wrinkles on the sides tend to straighten out and follow the Zygomatic process (cheek bone). Make the chin and ears sag using the Move brush. The new Move Topolgical brush is excellent for collapsing the lips. To create crevices hold down the ALT button in combination with your selected brush to push into the model. This is useful for pushing in the cheeks for sunken-in look. You can also switch from ZAdd to ZSub to get the same pushing-in effect. Don’t be afraid to experiment with the different brushes to see what effect they will have. Try the Slash brush to make lines and the Clay brush to build up form. To make your brush strokes straighter, press L once to turn on lazy mouse. Pressing L again will turn lazy mouse off. Hold down the SHIFT key to go over and smooth your work. As you work, you may find it hard to add more detail into the existing DAZ model. This is good time to subdivide your model by pressing CTRL-D. This can also be changed in the Geometry palette by clicking on the DIVIDE button. Be careful about clicking the DEL Lower button. 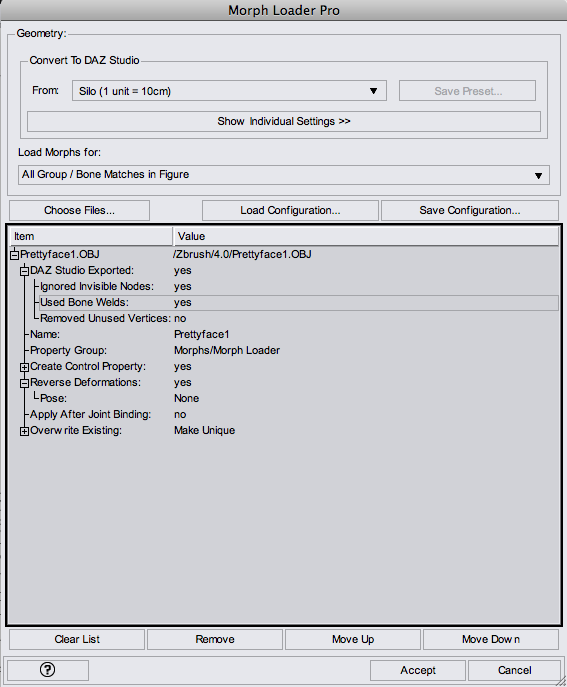 This will delete your lower subdivision level and make it impossible to import your morph. Once you have subdivided your model you can go down in subdivision levels by typing SHIFT-D and up in level by typing D. Remember you can always undo your strokes by hitting CTRL-Z. For the final touches, combine Standard brush with one of the Alphas (preferably Alpha 58) to create random crevices in the mesh. If you are satisfied with your morph, lower it to the lowest subdivision level with SHIFT-D or by moving the SDiv slider to 1 in the Geometry palette, then export it as an OBJ from the Tool palette. 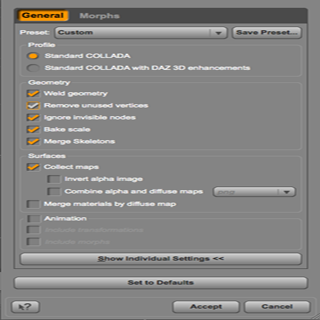 You can then use the MorphLoader Pro add-on for Daz Studio to apply your morph to your DAZ figure. Remember to check “yes” for DazStudio Exported, “yes” for Used Bone Welds and “yes” for Reverse Deformations. 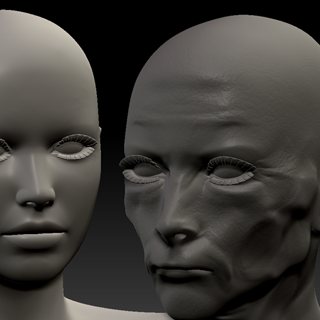 Viola you have created your first morph using ZBrush.